Steven Clifford is a former CEO of two public companies and he has served on a total of 13 boards of private and public companies over the years – including serving as the chair of a number of board compensation committees. 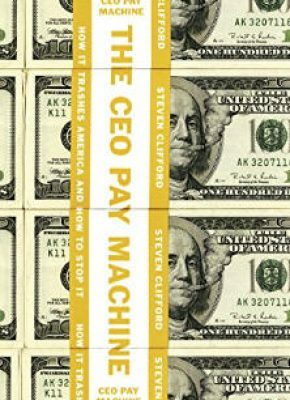 Steven’s new book – “The CEO Pay Machine: How It Trashes America & How to Stop It” – is a game-changer. There’s nothing out there like it. In 280 pages, Steven clearly lays out the broken components of a typical executive pay package – along with the broken board processes that led to them. In detail, Steven explains how the emperor has no clothes. It’s riveting. And maddening. Luckily, in his last chapter, he explains how we can fix it. And yes, we can fix it.